Will we ever actually make it to Mars like so many people like to talk about? Will we ever explore the Universe? 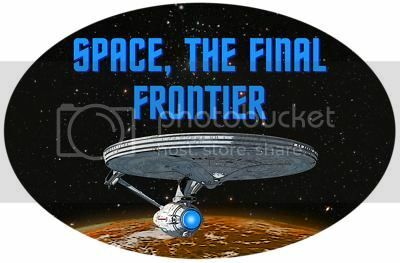 For decades it’s been considered pretty much the general consensus that humanity’s end game is to end up out in space. It seems an accepted notion that humans will travel away from Earth and discover other planets, possibly even habitable ones on which to settle. But how realistic is this? Can we, the human race, actually leave this planet? I think it would be incredible if we could “go where no man has gone before,” but in all reality the technology needed for us to succeed in space travel may well be beyond our reach. When people first began to dream about and speak about space travel, they did not take into account the incredible vastness of space, as this article so kindly points out. Space is endless and infinite, which they did not know at the time. It would take decades, though more likely centuries, for us to develop the technology and space crafts we would need to be able to survive long-distance space travel, if we even can develop it. To build a craft capable of withstanding the Earth’s atmosphere, the dangers of space itself, and the atmospheres of any currently unknown planets, that can still house families of human beings and sustain them for long periods of time, would take an immeasurable amount of money and knowledge. Not to mention the fact that while this craft must be big enough to do all of that, it must also be small and dynamic enough to accelerate at relatively high speeds and move quickly across the universe. That above article mentions, in depth, quite a few conflicting details that would need to be considered and solved if space travel were to ever occur. It even compares space crafts to islands on Earth, using the islands as models of what could potentially occur on a space craft with an ecological system created to support human lives. The whole idea is just so complex that it is very very likely that space travel may never be accomplished. What may be even more important is that space travel can have some serious affects on the health of humans who participate in it. A study done by NASA, showed that the immune systems of astronauts in space altered while on long-term missions aboard the International Space Station. Discoveries like these open up a whole new world of unknowns in regards to human health. We don’t know the mechanism behind why the immune system may have been altered, so we cannot account for it during health care. Before even considering sending masses of humans into space (if we ever had the ability to do so), extensive health research would need to be done to account for changes in the body that would occur in space. This post could go on forever listing the thousands of “if, ands, or buts” about space travel but all-in-all, there are just too many variables and unknowns to account for. Space travel just does not seem likely. “Study Reveals Immune System Is Dazed and Confused During Spaceflight.”NASA. NASA, 18 Aug. 2014. Web. 15 Sept. 2016. Robinson, Kim Stanley. “What Will It Take for Humans to Colonize the Milky Way?” Scientific American. N.p., 05 Jan. 2016. Web. 15 Sept. 2016. This entry was posted in Uncategorized on September 15, 2016 by Angela Maria Napolitano. Going to Mars is a very real hope and one that I am personally excited to see accomplished. Something I remember coming up in high school when we talked about mars was this study that was offering people to lay in bed in return to get paid. This was supposed to help NASA find ways for astronauts to sustain their health while remaining stagnant. Sounds like a study many college students may be interested in. If we had a choice to leave right now or stay behind, what would you do? After seeing the movie, The Martian, I don’t know how living on Mars could very practical. Due to the thinness of the atmosphere, we’d have to basically live indoors all time, wear a heavy spacesuit if we wanted to go out, not be out for very long, and airlock the door on the way back in. Seems like an awful lot of trouble to live on the neighboring planet.